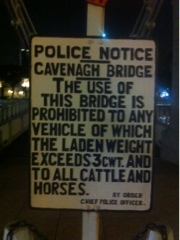 Today was another interesting day in Singapore. 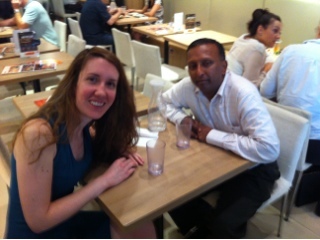 I met up with an old friend for lunch, Krishna. I worked with Krishna over ten years ago at FedEx. He was on the business side of the Pricing department when I was on the IT side. Krishna and his wife have moved around the world as he has moved up in his Pricing career. Just like everyone else I've spoken with, they really love it in Singapore. It's clean, safe, and easy to get around. Singapore is also very open to foreign workers. We went for Thai food nearby where I'm staying. As with all the food I've had here, it was delicious. Below is a photo from lunch. After lunch, I made my first attempt at the subway system here alone. It's very clean and easy to navigate. 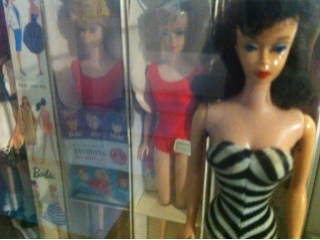 I went fairly far and visited the MINT Toy Museum. 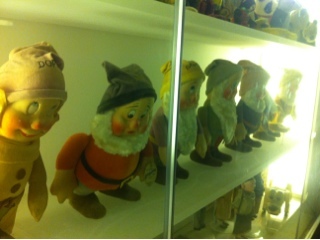 The museum is five levels and is filled with toys from different times and countries. Interestingly, many of the oldest toys were extremely similar from country to country. Apparently, before the days of patents, it was very common for manufacturers to copy toys from one country to the next. When I paid for my ticket, I was offered a 20% discount if I would pay with a MasterCard. Financial services are such a big industry here, that is seems many credit card companies and banks sponsor things like theaters. It's as if the FedEx Forum in Memphis were renamed the Visa Forum. As an outsider, it feels strange. And on the topic of copying... I forgot to share something that happened on my flight from Phuket to Bangkok (on the way to Singapore). I was seated in a window seat on the plane. As we took off, there was a beautiful view of the island and water. The man in the middle seat next to me pulled out a nice digital camera. I leaned back a bit in my chair so that he could have a straight shot out the window at the beauty below. To my surprise, he opened up the Air Asia in flight magazine. The magazine had travel tips for various destinations along with beautiful photos to illustrate each point. He began snapping photos of the photos in the magazine. He was extremely careful to get very close to the photo so as not to have any of the white magazine edges in the pictures. He worked on this task for a while on many photos. It left me wondering if he would show theses photos to friends and say that they were his own from his trip to Phuket. Anyway, after the toy museum, I explored a few more malls in search for the perfect shampoo. I've had about 3 incidents so far of my shampoo spilling out while in flight and I'm really running low. As someone with very long, naturally curly hair, it's important that I find a reasonably good shampoo. I will say though, my hair really seems to get along with the warm, humid weather I've found in Asia. 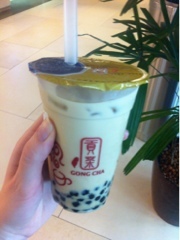 While I was walking around, I tried some "milk tea with pearls." It's iced tea made with sweetened condensed milk. It contains these soft round gummy candy pieces in the bottom. If you're familiar with bubble tea, I think it may be the same thing. When you order, they ask what percent sugar that you want. The choices range from zero to 100%. The barista recommended 50% for me as I was clearly clueless about the difference. On my way back home, I stopped in the subway and got a pedicure. I'm walking miles each day and my nails are beginning to be out of control. Unfortunately, I was wearing normal shoes and not flip flops. The nail salon was very hesitant to paint my nails without the correct footwear, but I assured them it was fine. The pedicure was amazing. My feet feel so much better. The polish did get ruined on the way home, but I don't care. I'm just happy that my feet are comfortable again. 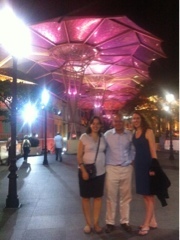 For dinner, Andy, Catherine, and I went to a local restaurant for more Singaporean dishes. As with every meal, the food was incredible. After dinner, we walked all around the downtown area and I was able to see the Singapore Mer-Lion (their national symbol) up close. 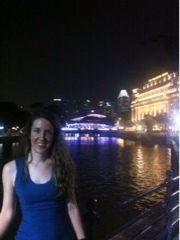 I have really enjoyed eating my way around Singapore. In many ways, I wish I could extend my time here just to try more foods. I've also enjoyed being in such a multicultural place. Despite being foreign, I don't feel like I stick out too much because there are many foreigners here.